Historical note. Much compressed, the story goes something like this. It starts with the Latin V transverto transvertere ‘turn in a different direction’, PSP transversus, with transversus used as Adj or N (but still able to occur with an object). Lat. transversus > It. traverso, which combines with the P a(l) ‘to’, yielding a(l) traverso/ at(t)traverso, meaning roughly ‘traversing, traveling over/across’ or more abstractly, ‘span (in space or time)’ . But the originally verbal form attraverso can still occur with an object, and is then open to reanalysis as a P meaning ‘over, across, through(out)’. Meanwhile, secoli (pl. of secolo), literally ‘centuries’, has developed a figurative (hyperbolic) sense ‘ages’, denoting a very long time period. Formulaicity. The full Italian expression attraverso i secoli is one way of expressing something like ‘for / during / through(out) centuries’ or, figuratively ‘for / over ages’. 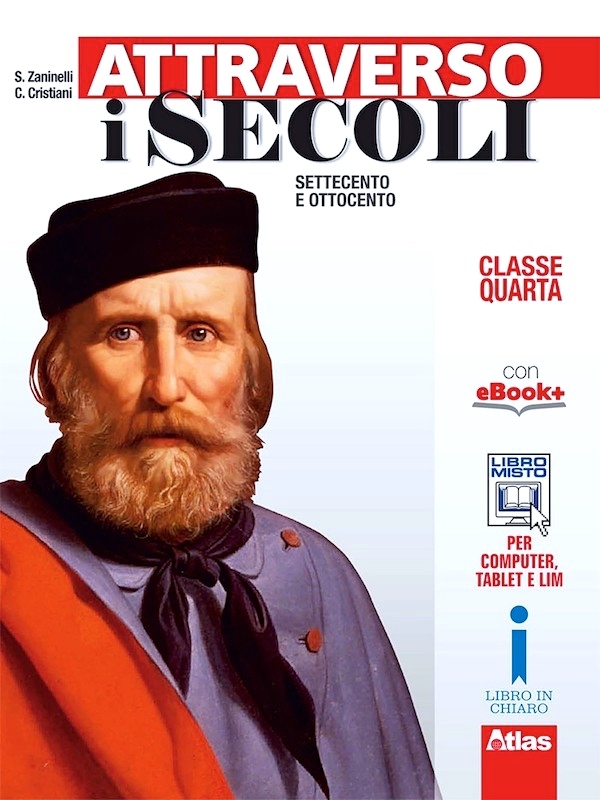 You could use another preposition, like di or per or something more complicated, like nel corso di; you could do without the definite article i (in both Italian and English, PPs with both anarthrous and arthous objects are acceptable, and have subtly different meanings); and of course other objects (like gli anni ‘the years’) are possible. 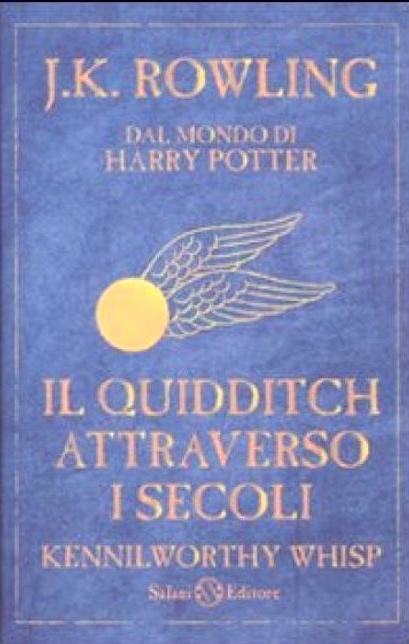 Quidditch Through the Ages is a 2001 book written by British author J. K. Rowling using the pseudonym of Kennilworthy Whisp about Quidditch in the Harry Potter universe. It purports to be the Hogwarts library’s copy of the non-fiction book of the same name mentioned in several novels of the Harry Potter series. … In 2001, Rowling penned two companion books to the Harry Potter series, Quidditch Through the Ages and Fantastic Beasts and Where to Find Them, for British charity and offshoot of Live Aid, Comic Relief with all of her royalties going to the charity. As of July 2008, the books combined are estimated to have earned over $30 million for Comic Relief. The two books have since been made available in hardcover. This entry was posted on September 10, 2018 at 11:31 am and is filed under Books, Figurative language, Formulaic expressions, Hyperbole, Italian. You can follow any responses to this entry through the RSS 2.0 feed. You can leave a response, or trackback from your own site.